The heat is on! Just 4 more days until we take our products to market. My place looks a candy factory boiler exploded in there. Bath bombs, soaps, labels everywhere. It doesn’t help that Leo is trying to lick a mixture of sodium bicarbonate and citric acid off the floor because he thinks it’s edible caramel powder. We are having some lovely delights for the market. First and foremost, our soaps. We’ll bring an eclectic mix of lemongrass, espresso, ginger & honey, green tea and oatmeal soaps. There’ll be body butters with lavish amounts of shea, mango and cocoa butter ingredients, grapefruit salt scrub and bath salts. And we’ll bring our problem child. 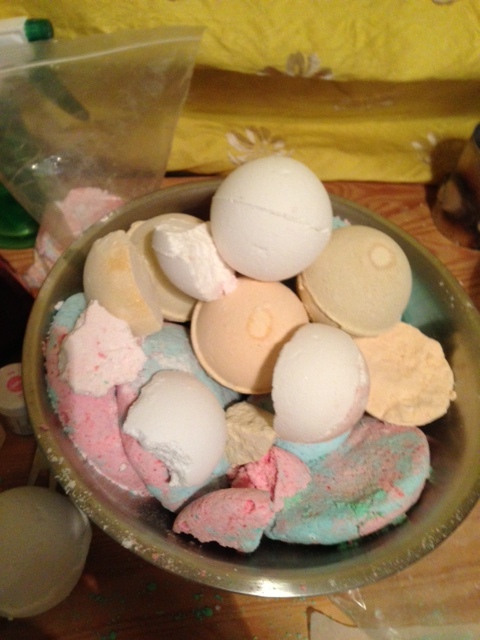 The bath bombs. 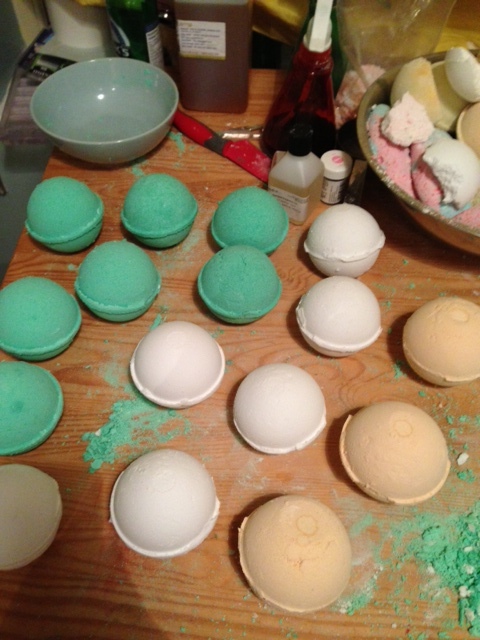 Posted on October 24, 2013 by soapmeprettyblog	• This entry was posted in Arts and Crafts, Handmade and tagged Bath bomb, Citric acid, Sodium bicarbonate. Bookmark the permalink.